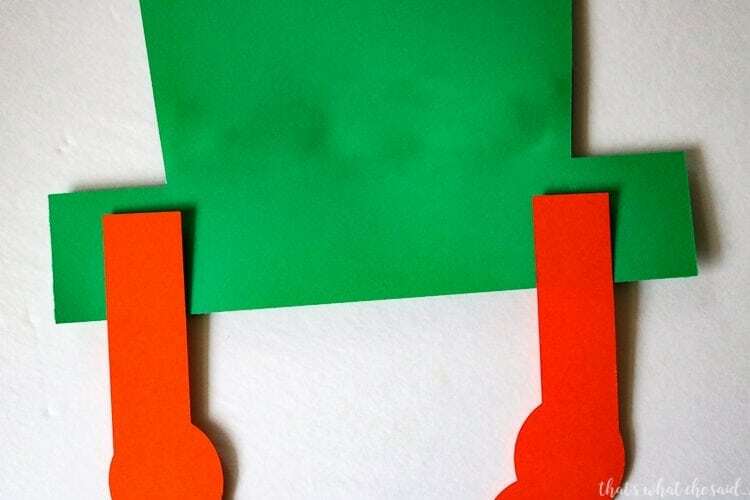 Make your Leprechaun sized person more like a Leprechaun with this fun paper Leprechaun Hat and Beard! 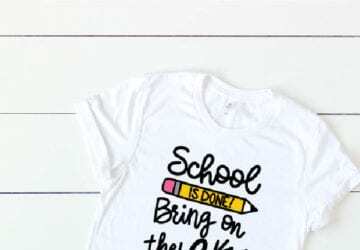 You can cut these by hand with my free patterns or use the created cut files to cut on your Silhouette or Cricut machines! 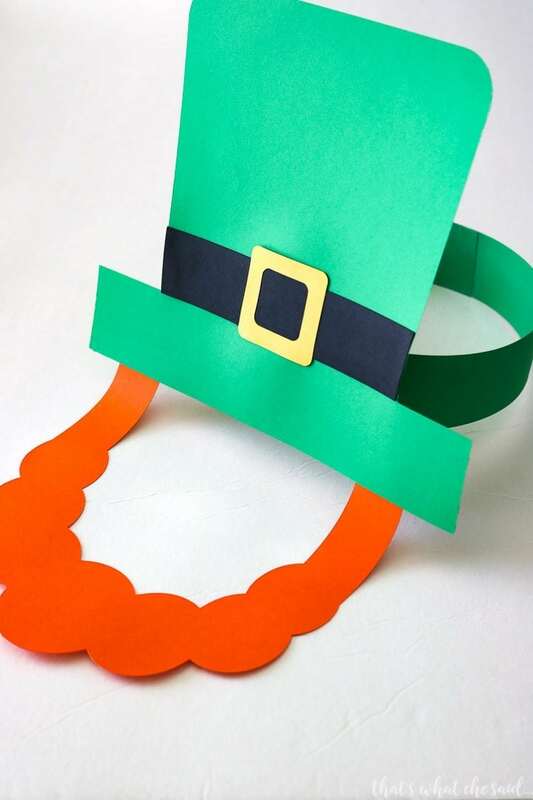 Paper Leprechaun hat and beard hats would be super cute for a class project! 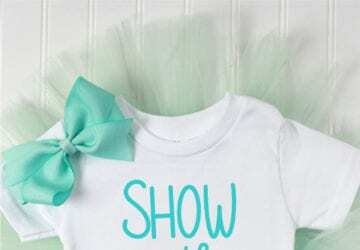 Can you imagine 15 adorable preschool leprechauns!? 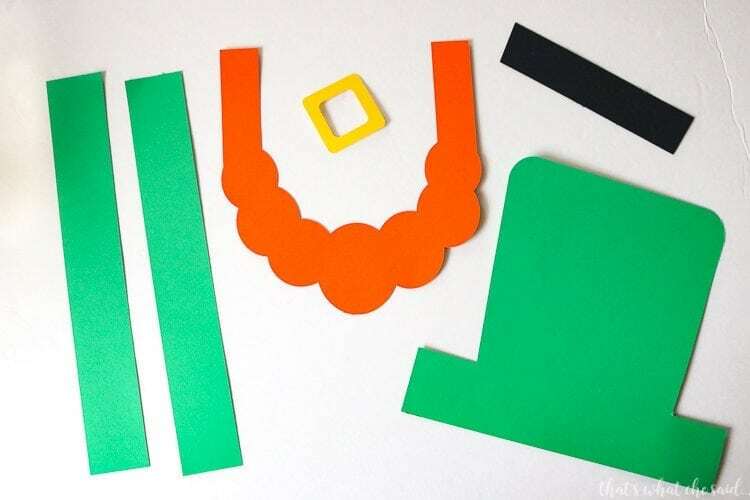 I have included the cut files to use with your cutting machine as well as the patterns to use if you are cutting these by hand. You may download those below. Start out by cutting the pieces. 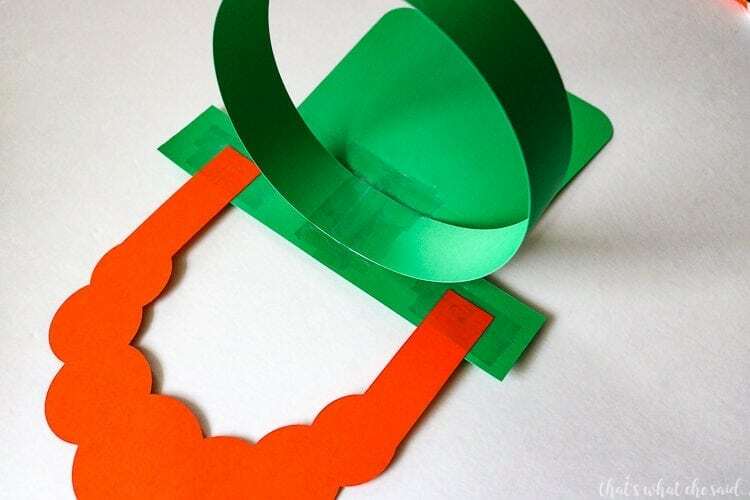 Using glue, add the black belt and the gold buckle to the green hat. I kept the sideburns of the beard long so that you can adjust to your child’s face. 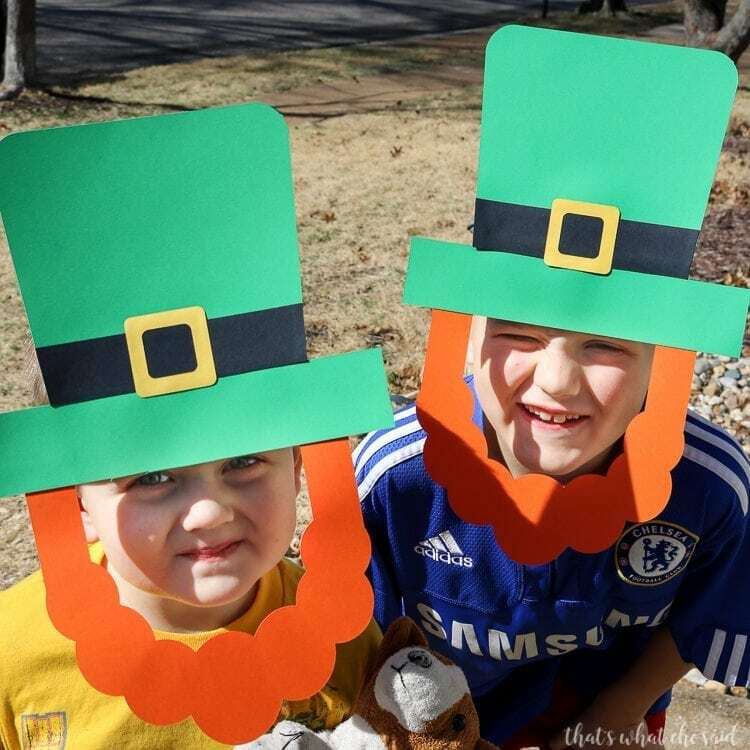 Place the beard next to your child’s face and note where you will need to add the hat. Tape or Glue the beard to the hat at the marked height. 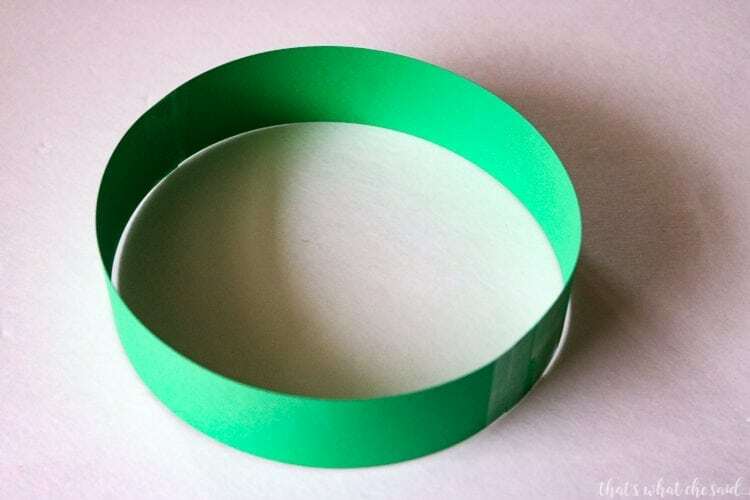 Using the two green strips, make a loop that will fit around your child’s head. I used tape to do this. 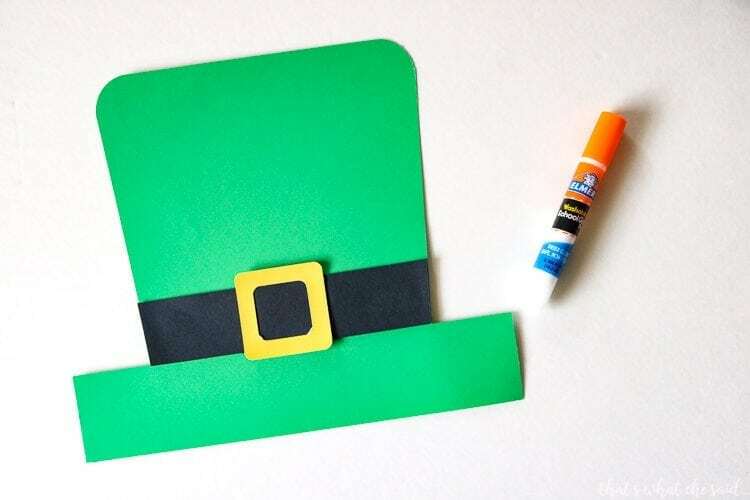 Staple the loop to the hat and you have yourself an adorable little leprechaun! New members, please enter your name and email address and the download will be delivered instantly. Existing members may use the freebie password to download. New members will be sent the password for future use. 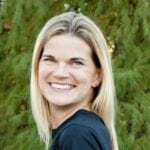 What Can Thieves Household Cleaner Clean?